Go bact to the basics with the knowledge and strength enclosed in the range of LIQC Dermocosmetics. Products, the composition of which allows you to cherish every type of skin. No fragrances, no silicones and no artificial colors. Only high concentrations of active substances. Minimalist compositions, with maximum strength of applied vitamins and acids, allow to achieve results in the first weeks of use. 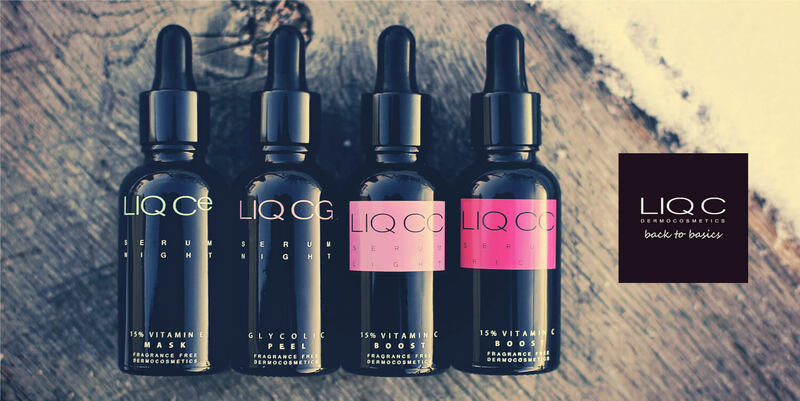 The LIQC range of dermocosmetics is characterized by a recipe with low pH, that allows to increase the penetration of active substances into the skin and at the same time improves its physiological protective barrier. Love the serum, your skin will thank you. Currently in Poland, the LIQC Dermocosmetics range is available exclusively in pharmacies. Dermocosmetics "for special tasks" require not only adequate storage, but often the knowledge of dermoconsultant, who will explain the role of the main active substances, the essence of low pH of the dermocosmetics and will help to set the scheme of daily care. With our knowledge and consumer awareness, our products are perceived as "working". We sincerely admit that it brings us the most satisfaction. In the last quarter of 2017, the latest serum from the LIQC Dermocosmetics range will be introduced to the pharmacy market. We will be pleased to present you the power of Retinol in the company of Lactobionic Acid and Vitamin E.